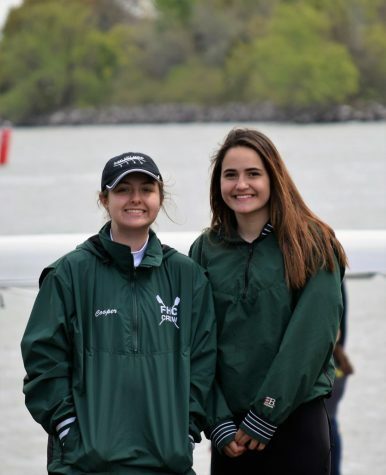 This past weekend varsity crew raced at Riverside Park in the 23rd annual Grand Rapids Invitational regatta. The women’s team fought hard and pulled off a strong performance despite heat results landing some of the boats in unfavorable lanes. With three boats placing second, one boat placing third, and another boat placing fourth, FHC starts off the season strong. The senior women’s 8 boat finished with silver medals in its race. Within the senior 8 boat were seniors Allison Radke, Abby Hier, Molly Neary, Payton Waclawski, Grace Cool, and Lauren Hackerd. Also on this boat were juniors Jayla Williams, Emily Briggs, along with sophomore Lindsey Cool who played cox for this boat. Also taking second was the senior women’s lightweight 4+. 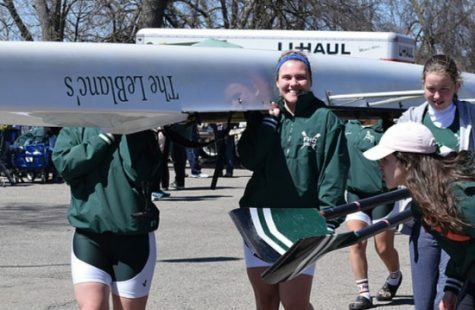 Racing in this boat was senior Allison Radke and juniors Lauren Gesik, Emily Briggs, Grace Clinger and their cox, junior Krystal Koski. In the seniors women’s 2+, Lauren Hackerd and Grace Cool took second in their first sculling event. Placing third overall was the senior women’s 4+. This boat featured seniors Payton Waclawski, Abby Heir, and Molly Neary, along with juniors Jayla Williams and Sarah Wordhouse as cox. To round out the order was the women’s junior 4+ placing fourth. 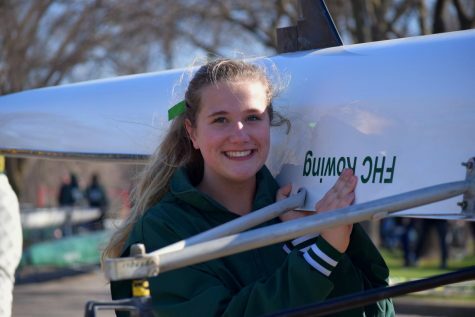 This boat contained junior Katie Johnson, sophomores Grace Ohanesian, Kendra Wolffis, and Sarah North and as cox on her second boat, Sarah Wordhouse. 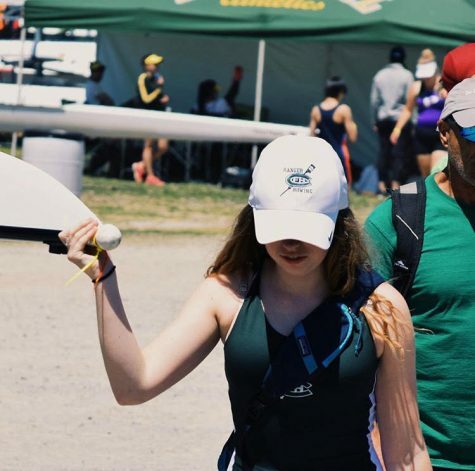 The women look ahead to their next regatta this upcoming Saturday. 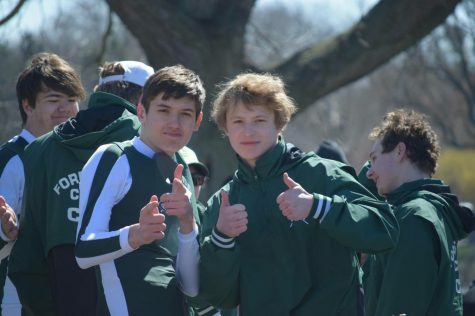 The crew team will participate in the St. Mary’s Laddie Cup for the first time ever. With a very solid start to their season, the team looks to add on to an already high medal count.